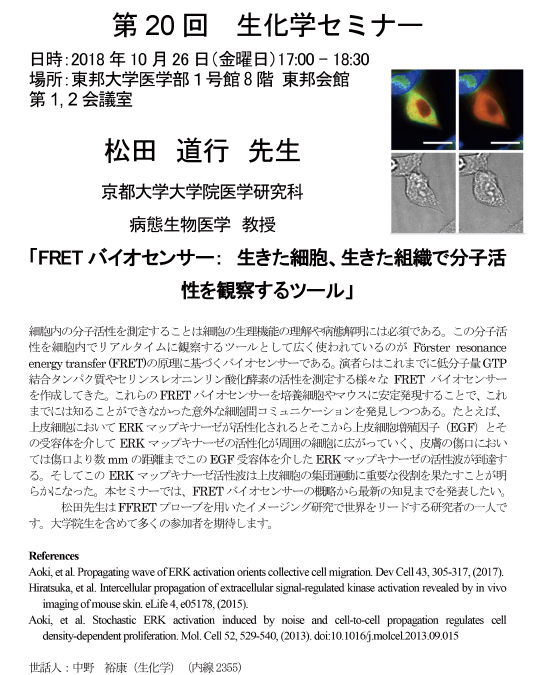 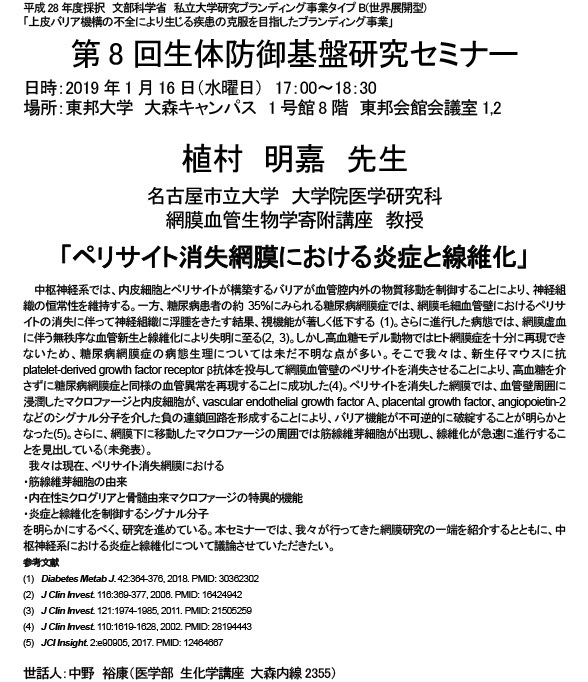 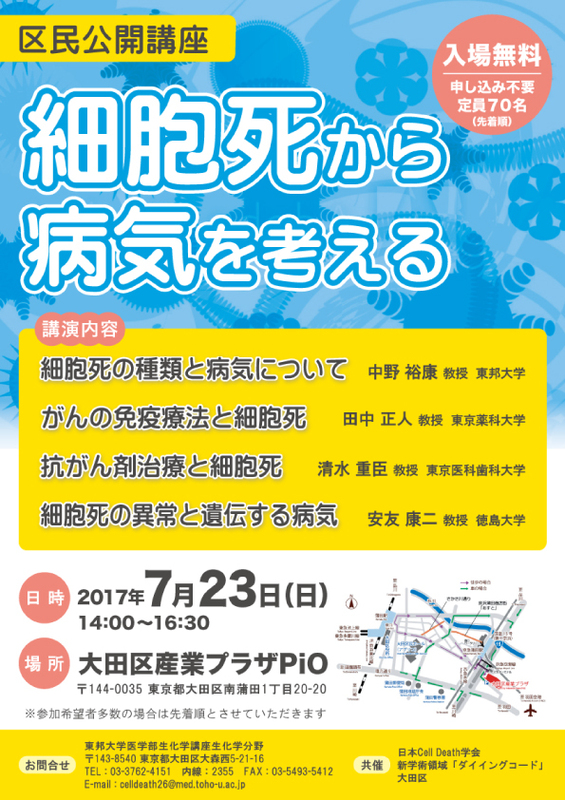 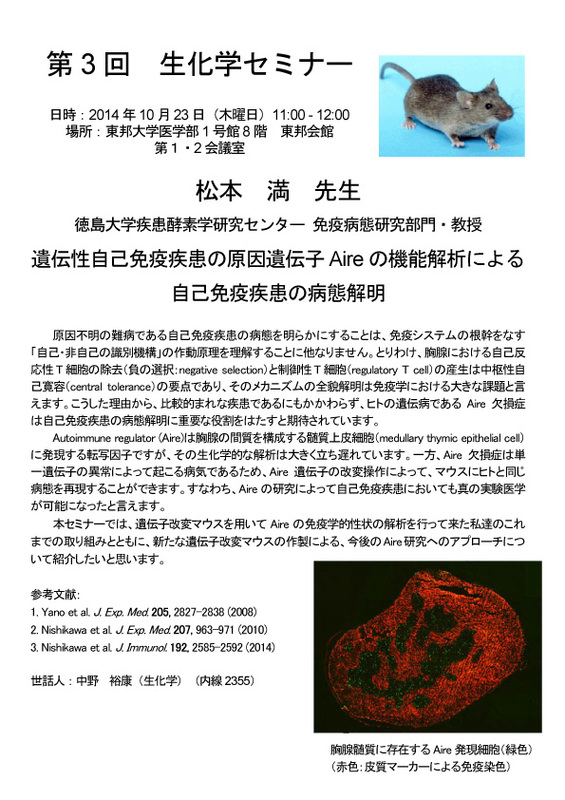 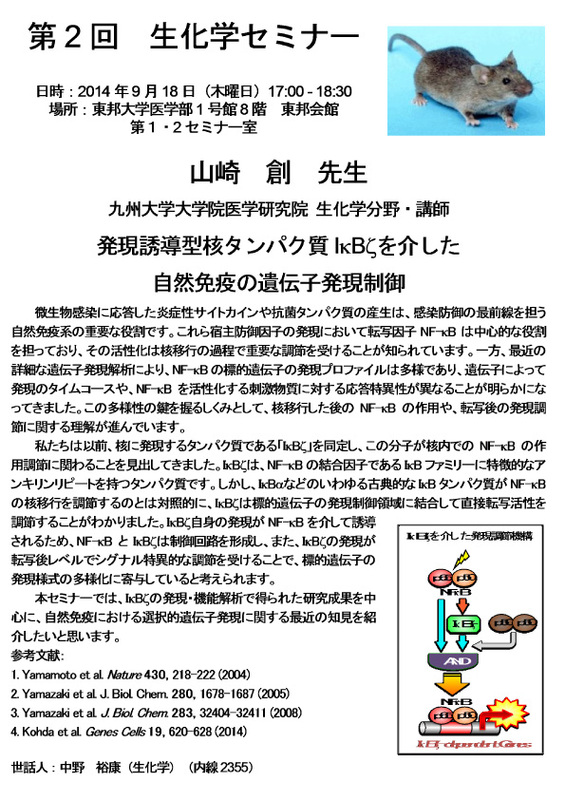 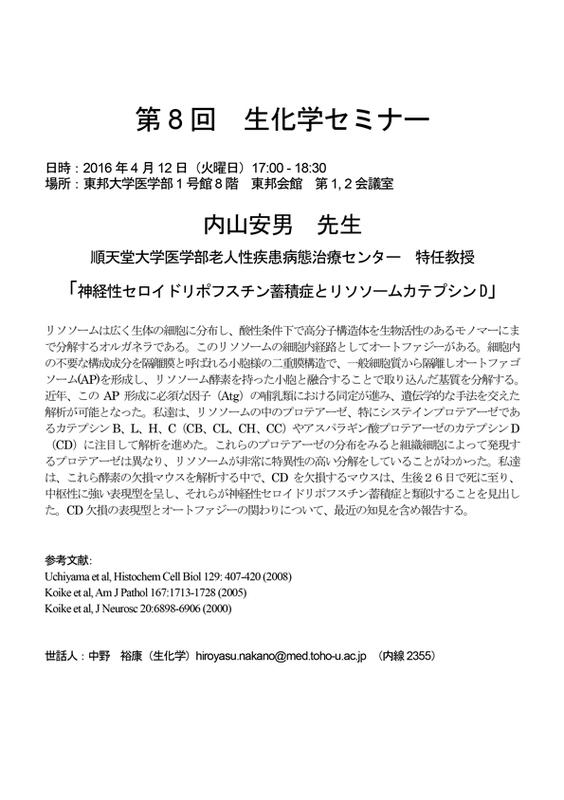 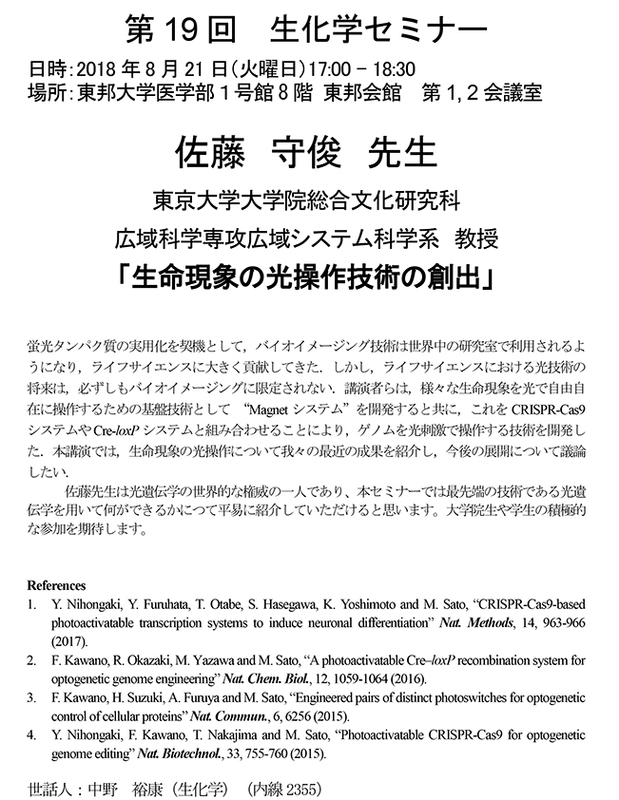 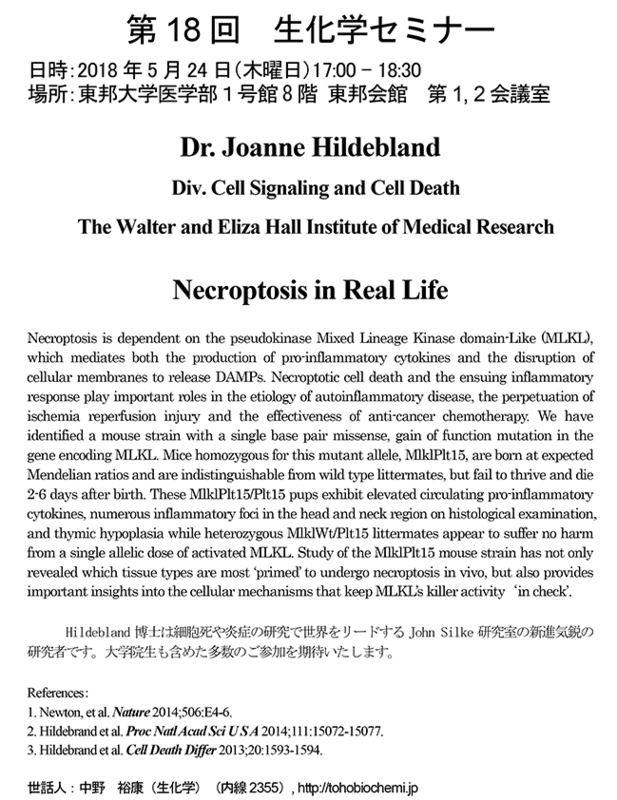 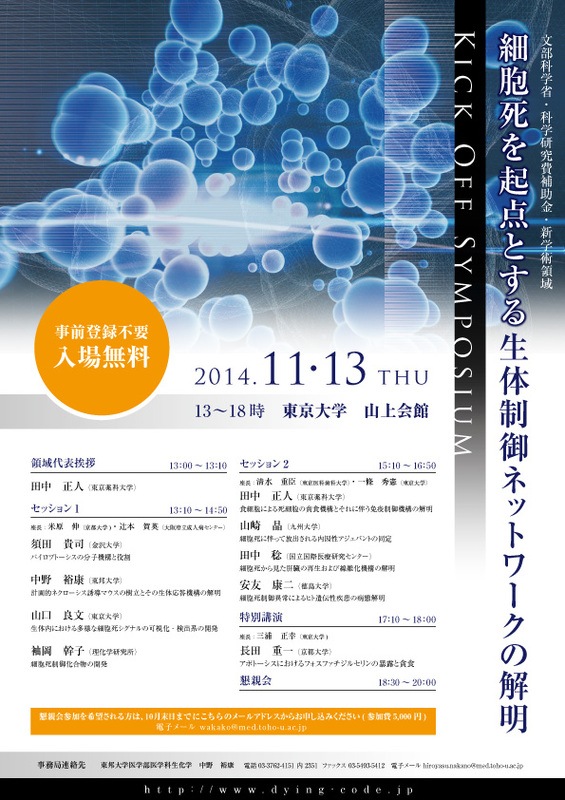 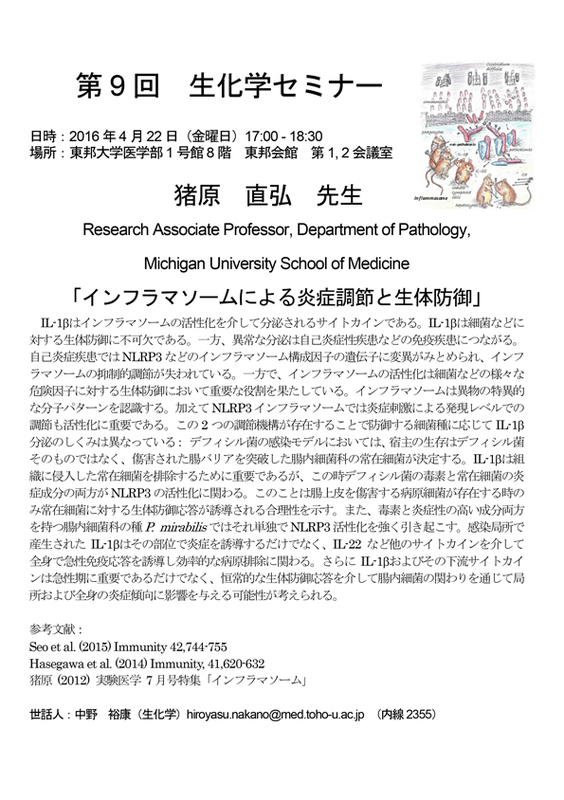 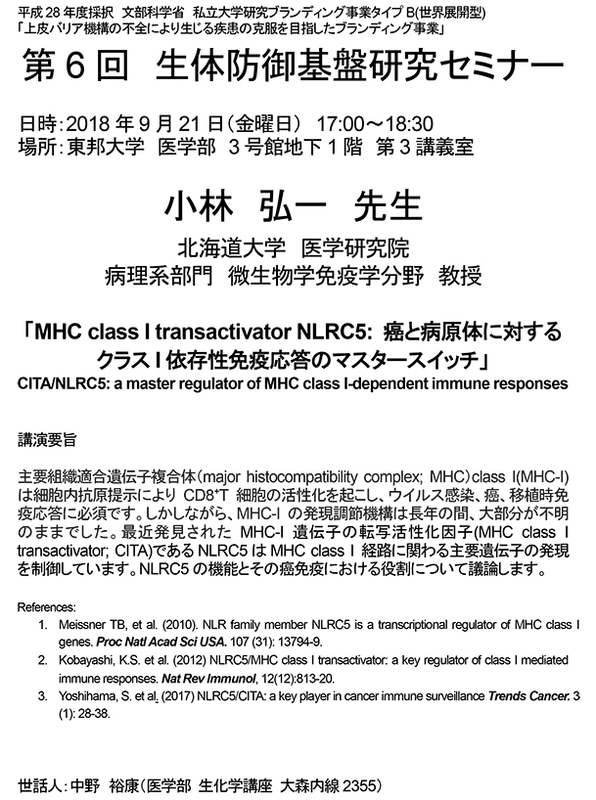 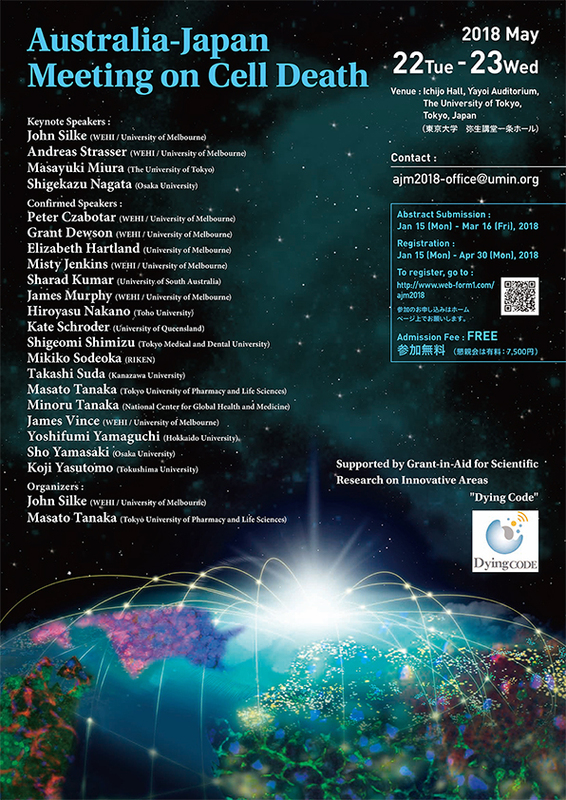 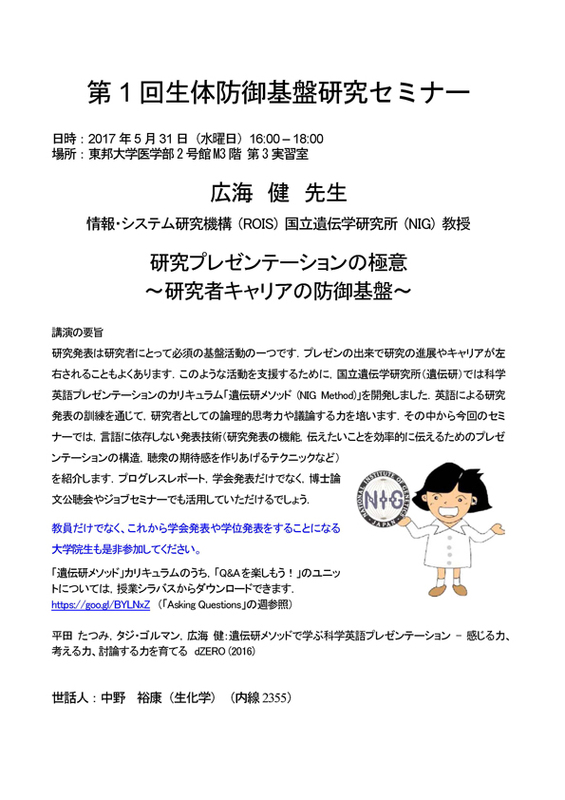 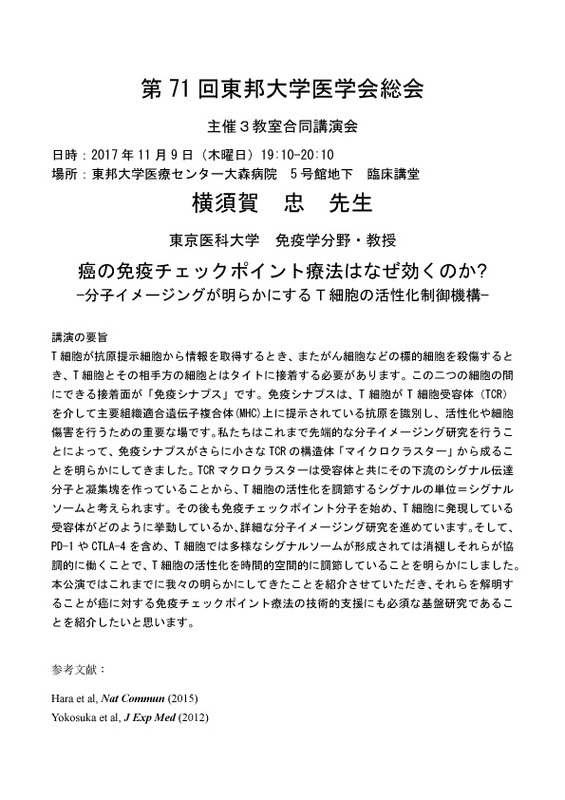 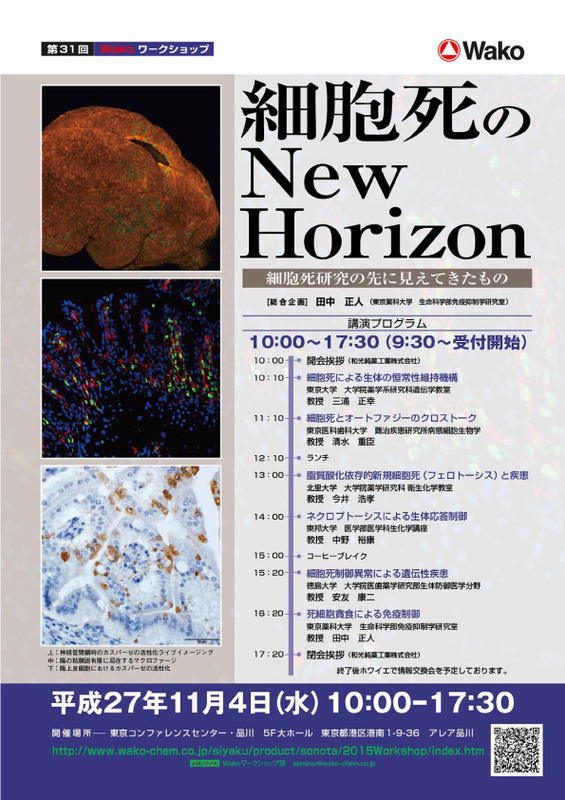 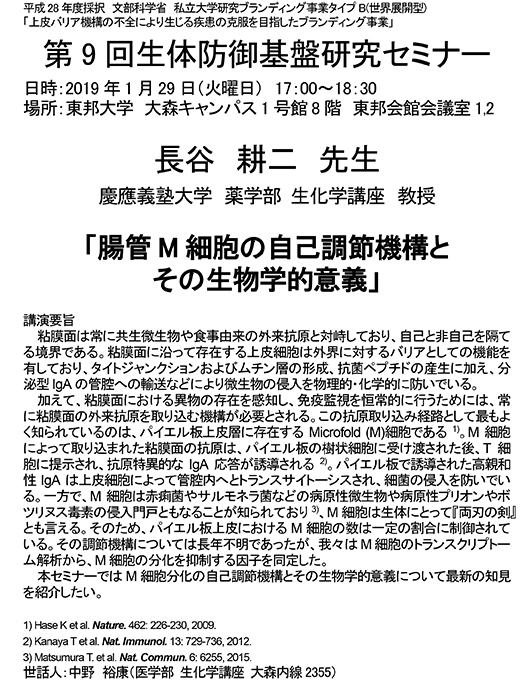 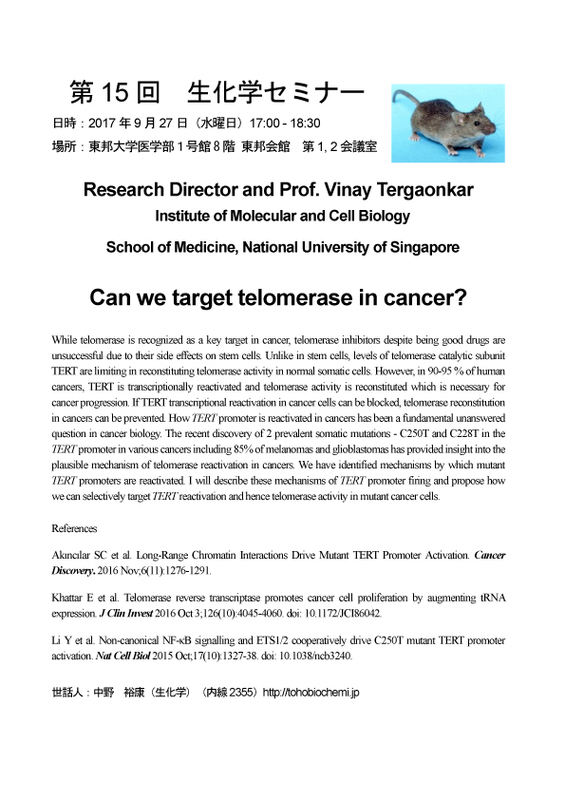 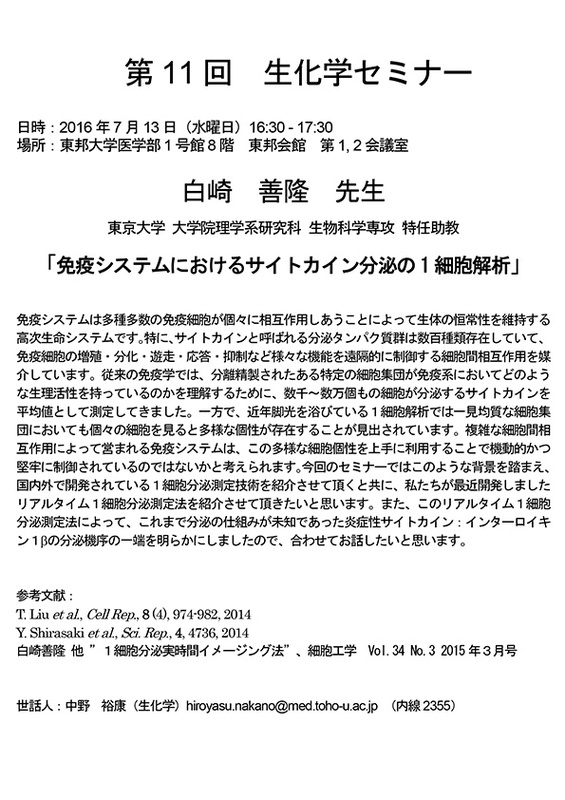 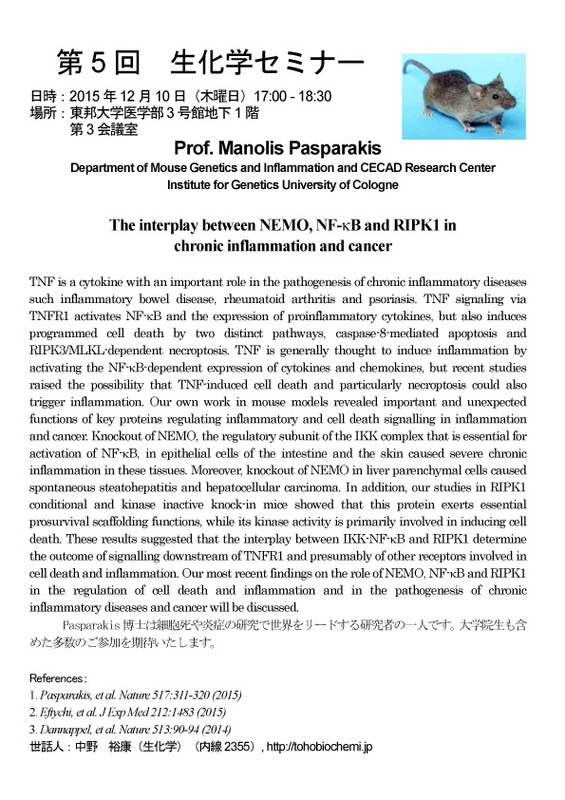 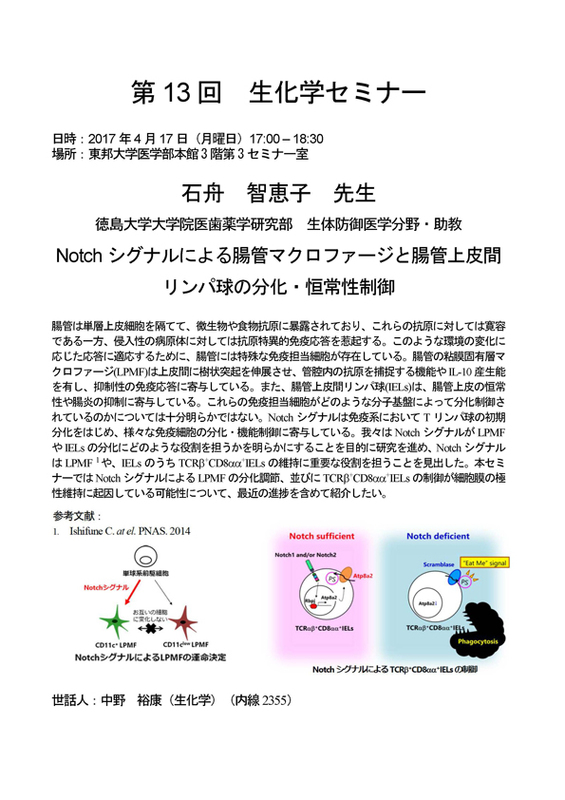 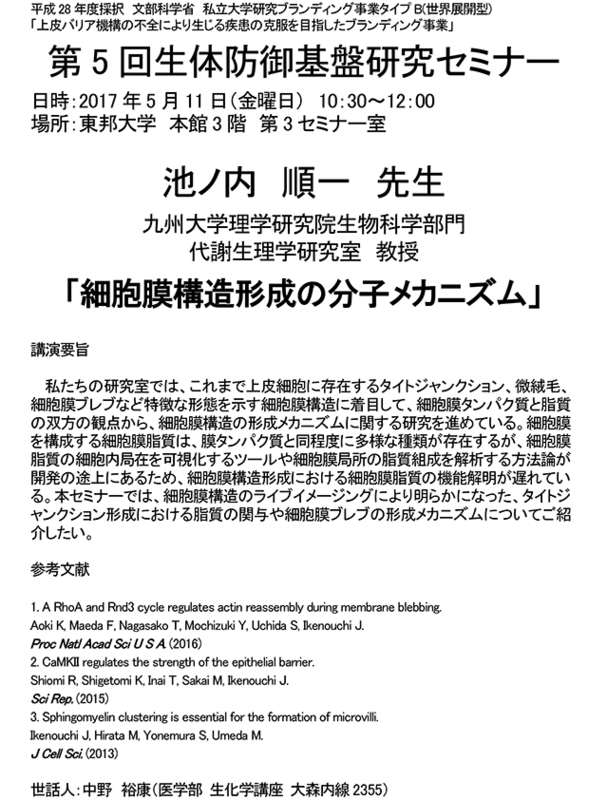 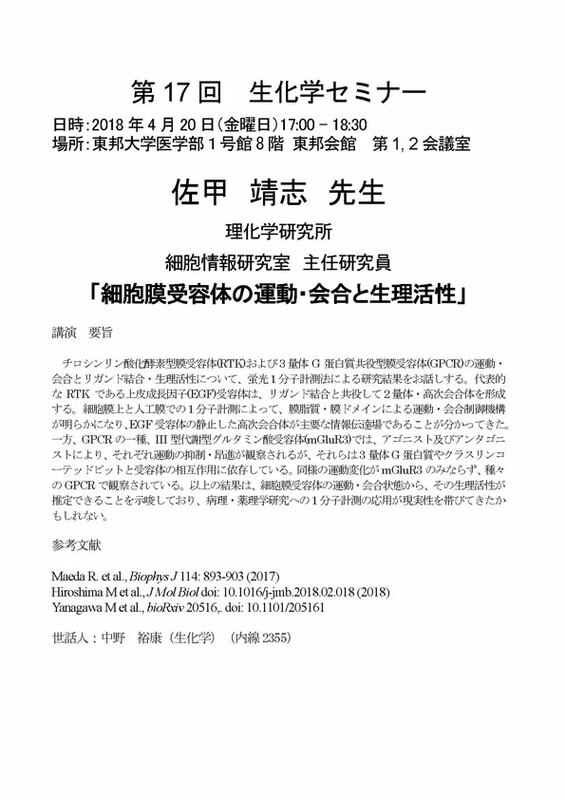 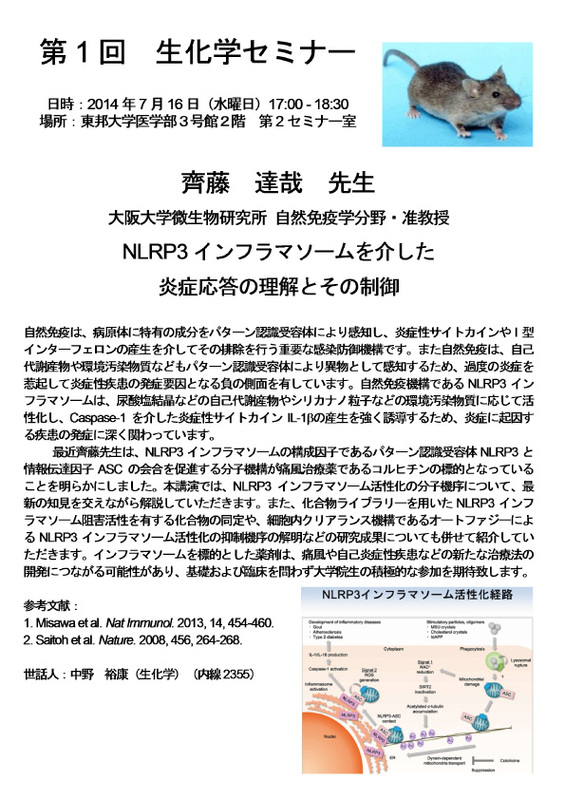 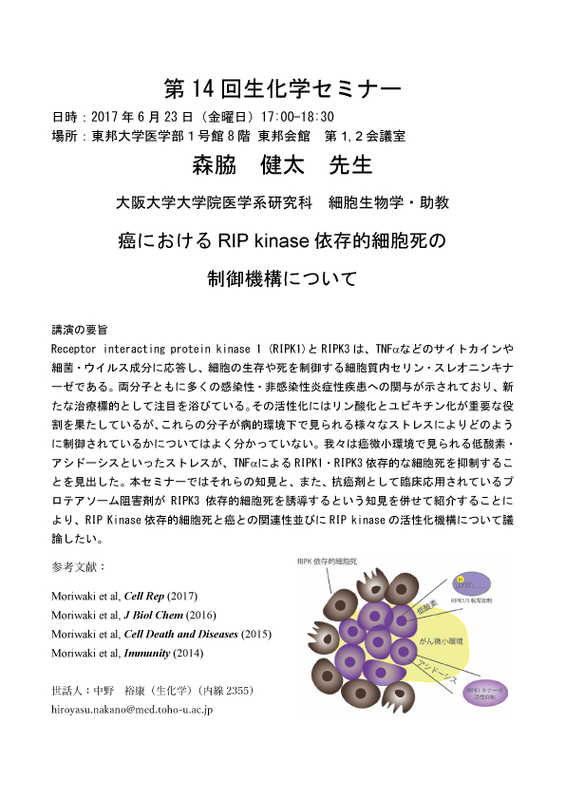 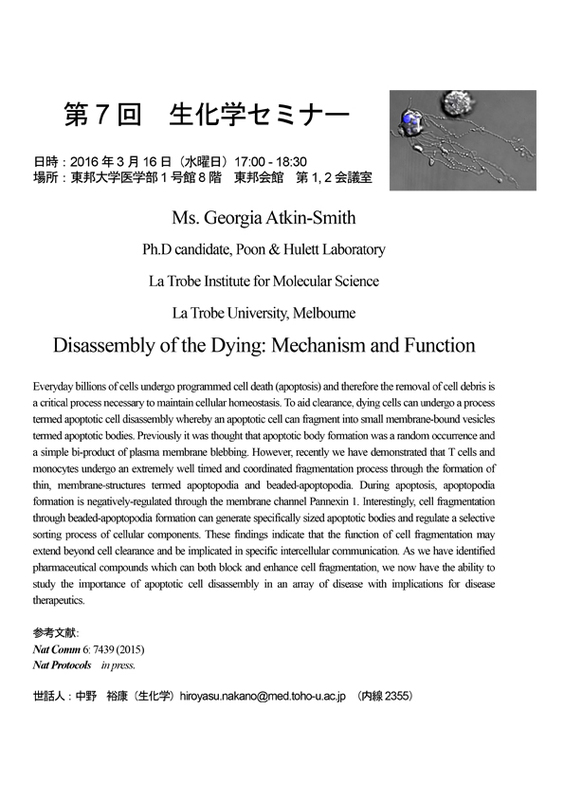 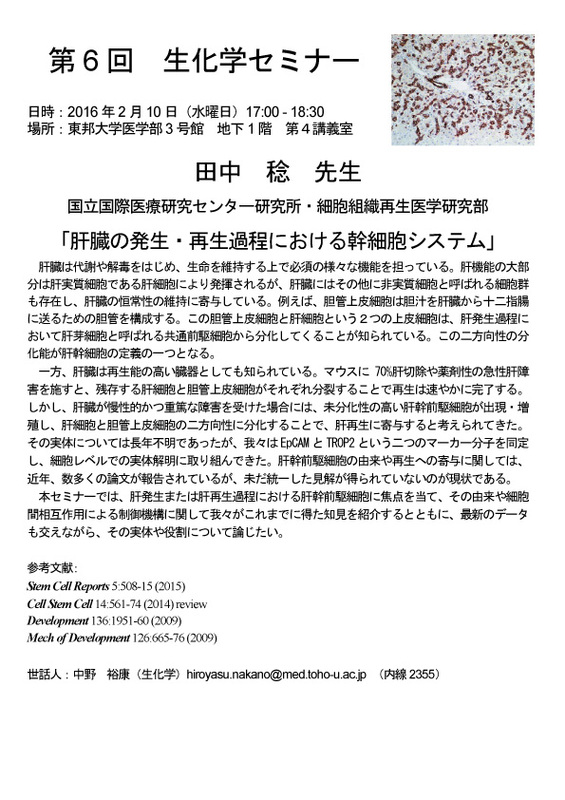 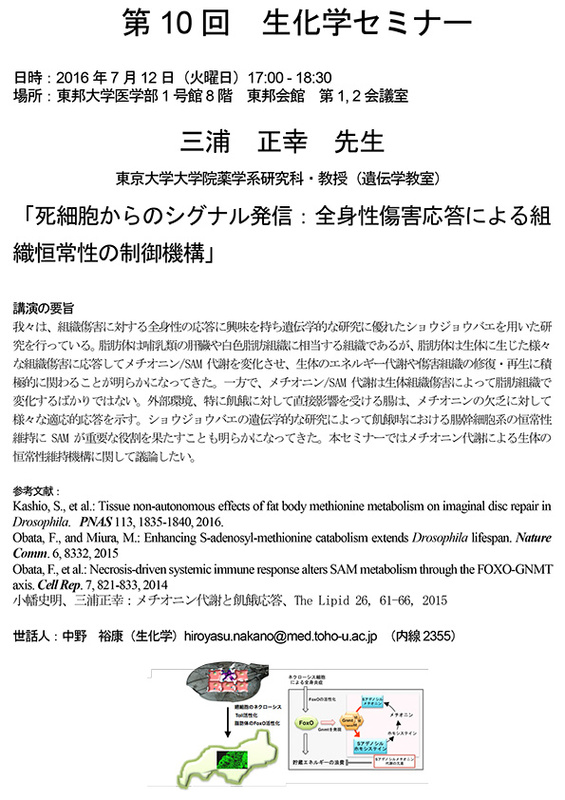 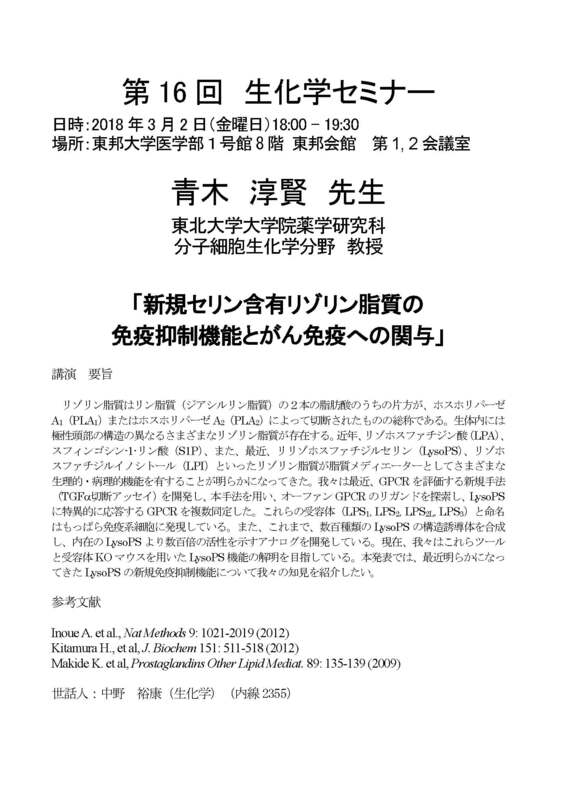 名称 Can we target telomerase in cancer? 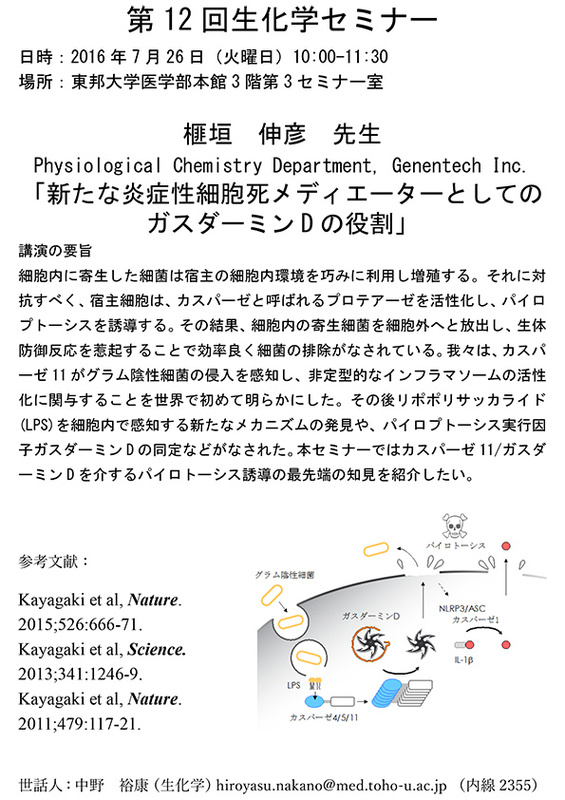 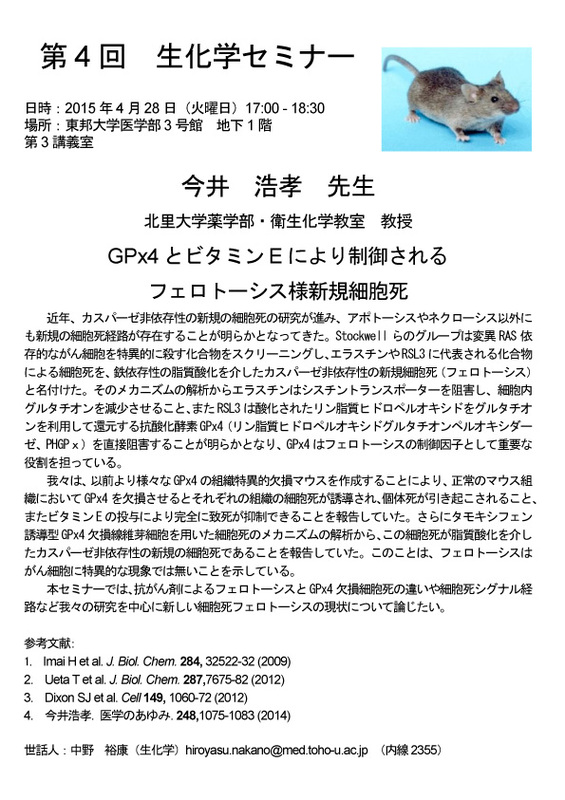 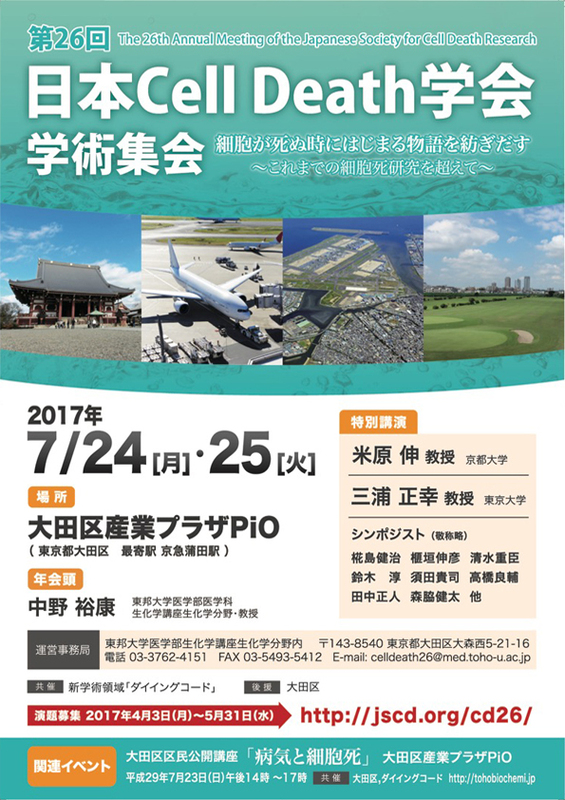 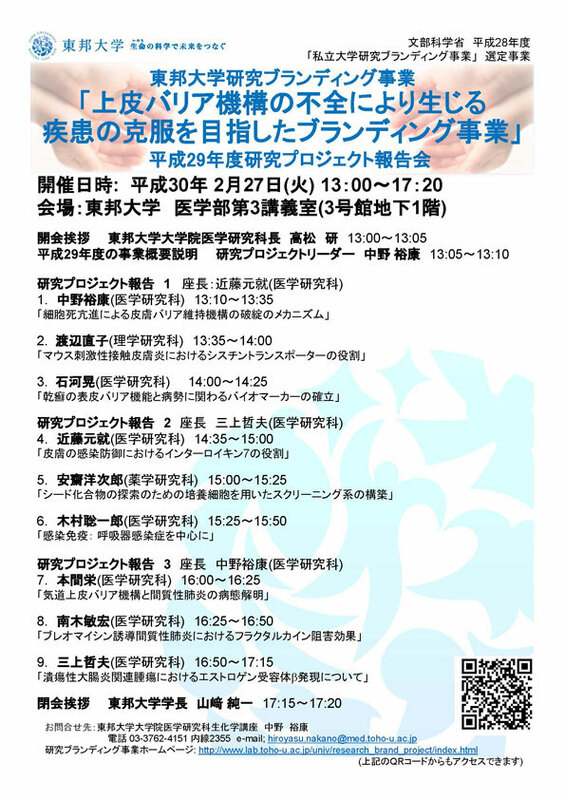 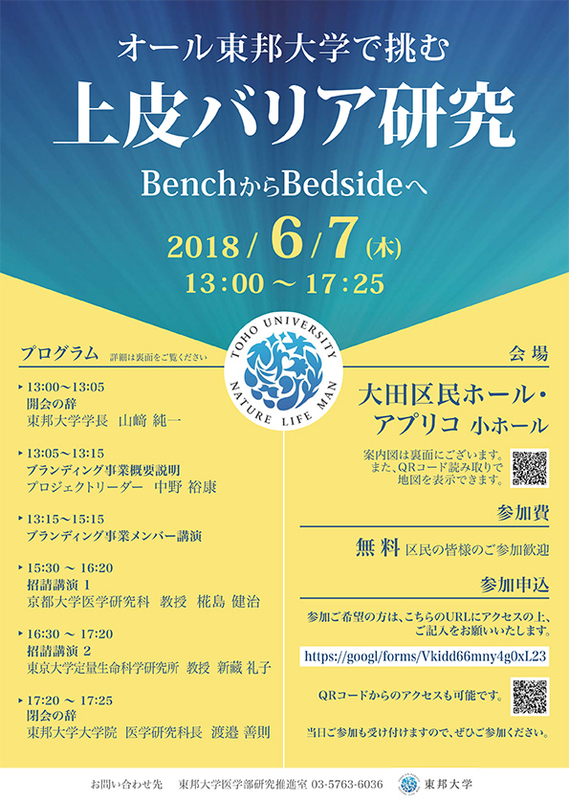 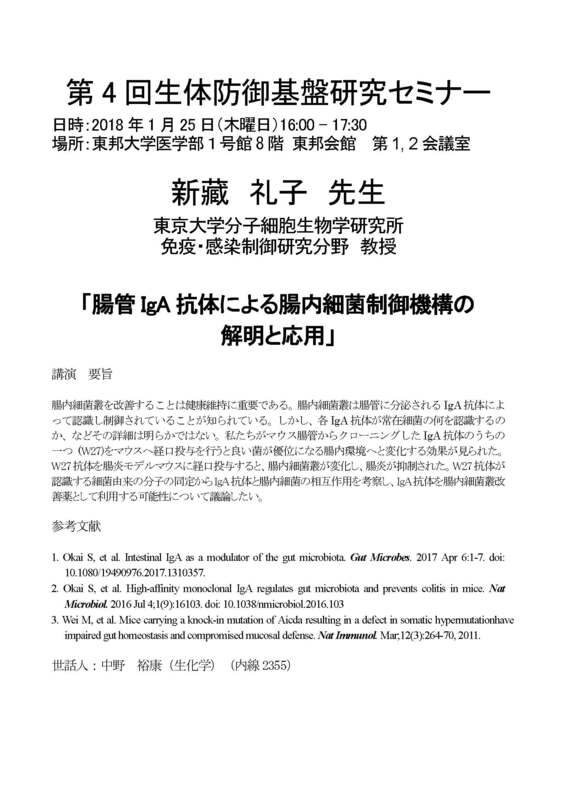 講演者 Physiological Chemistry Department, Genentech Inc. 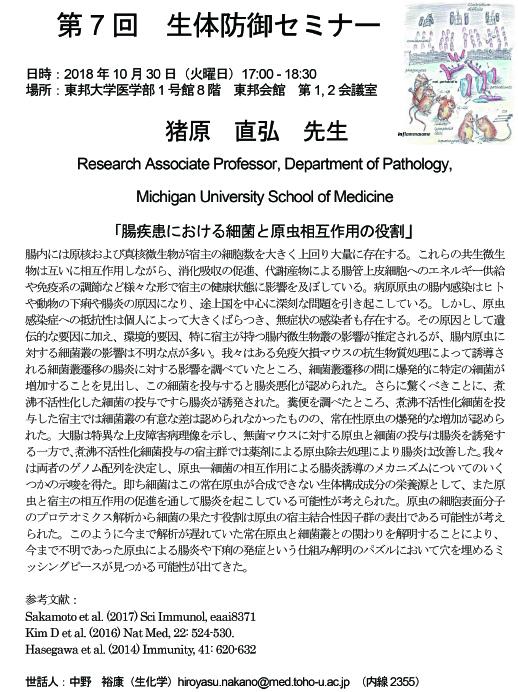 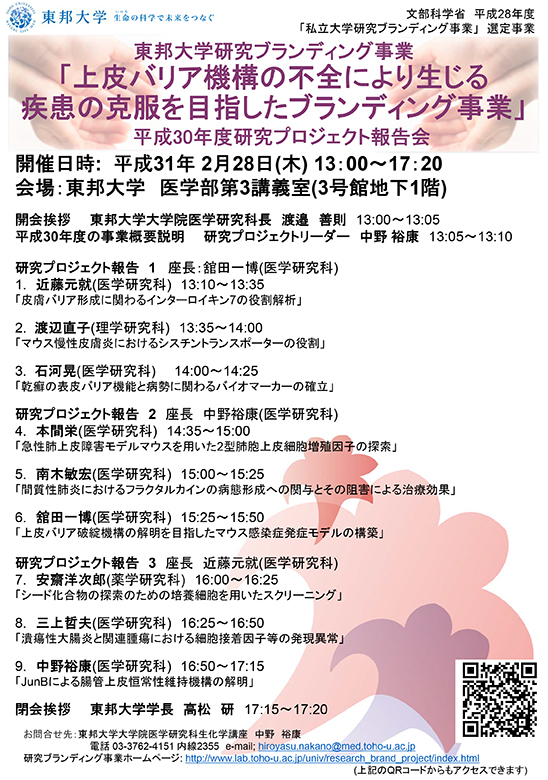 Copyright (C) TOHO UNIVERSITY SCHOOL OF MEDICINE DEPARTMENT OF BIOCHEMISTRY All Rights Reserved.